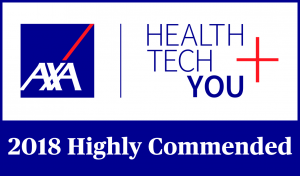 The DECODE system has been Highly Commended by AXA Healthcare in their Heroes of Health Tech award for Innovations in the Early Diagnosis of Dementia. In partnership with Alzheimer’s Research UK, this award aims to identify excellence in design innovation and technology development that can support the diagnosis of diseases underpinning dementia. The panel were looking for innovative and unique approaches that could be used to support the diagnosis of diseases underlying dementia. The panel commented that the software is “hugely important” and recognised DECODE as a “very effective tool for GP’s to speed up the diagnostic process and get treatment to patients much earlier”.